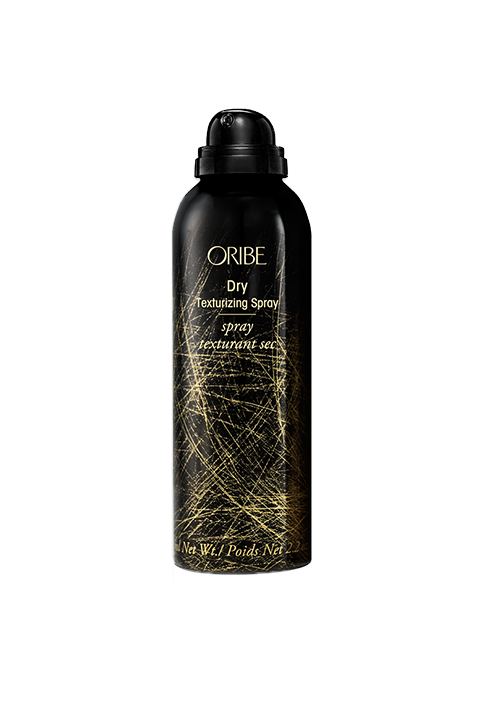 Oribe Signature Complex (Watermelon, Lychee and Edelweiss Flower Extracts) defends hair from oxidative stress, photo-aging and the deterioration of natural keratin, all while protecting from the drying, damaging and color-depleting effects of the elements. Zeolite Crystallines behave like tiny sponges to absorb and trap dirt, oils and odors. Kiwi and Passion Flower Extracts deliver antioxidants more powerful than those found in green tea. They help to maintain moisture balance and protect color. Ginger Root Extract, derived from Hawaiian White Ginger, promotes circulation, adds shine, and softens hair. Mango Extract, rich in antioxidants and vitamins, hydrates, smoothes, and nourishes the hair. A Unique Copolymer Blend allows hairstyles to hold longer. Sunflower Seed Extract delivers incredible shine while providing color protection. Humectants add shine and body while repairing damaged hair. Hydrolyzed Wheat Protein conditions and renews damaged hair, adding body and shine. Aloe Barbadensis Leaf Extract hydrates, smoothes, and nourishes hair.